Be it laterite, loam, peat or clay, soil is life. It's the foundation of food security, and so the UN has declared 2015 as the year to draw attention to the stuff. As much as 95 percent of our food comes from the soil, but 33 percent of global soils are degraded, and experts say we may only have 60 years of nutrient-rich top soil left - it is not a renewable resource. Africa is especially hard hit. 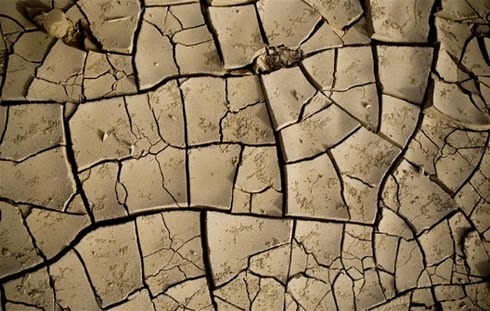 Land degradation denudes the top soil, shrinking yields and the ability of the earth to absorb harmful greenhouse gases. In sub-Saharan Africa, an estimated 65 percent of agricultural land is degraded. That costs the continent US$68 billion a year, and affects 180 million people - mainly the rural poor, already struggling to eke out a living. But better land management practices could deliver up to $1.4 trillion globally in increased crop production. So how to implement sustainable policies that protect the food security of future generations? The uptake of sound soil management approaches is currently low. Farmers are under pressure to abandon effective traditional methods in favour of practices that deliver quicker, short-term, returns. But a report - No Ordinary Matter: Conserving, Restoring, and Enhancing Africa’s Soils - released in December 2014, points to potential pathways. These include combining targeted and selected use of fertilisers alongside traditional methods such as application of livestock manure, intercropping with nitrogen-fixing legumes or covering farmland with crop residues. The goal is an ambitious - if contradictory sounding - “Sustainable Intensification” of agriculture.